Gallop along on the hilarious romantic adventures of shy, murmuring dishwasher Anna Ironhead. Set in the Old West, this comedy finds Anna courted by handsome railroad tycoon Lash Grey. Innocent, insecure Anna is mesmerized by this wealthy man. At the same time, billionaire Grey is intrigued by Anna’s quiet beauty and her endearing quirks such as rolling her eyes in a full circle. But what hilarious secrets does Lash Grey conceal? Grey hints at romantic pleasures hidden in a special railroad car known as the Trap Room. Is young Anna in over her head? How far will she go to please the first man in her life who washes on a regular basis? 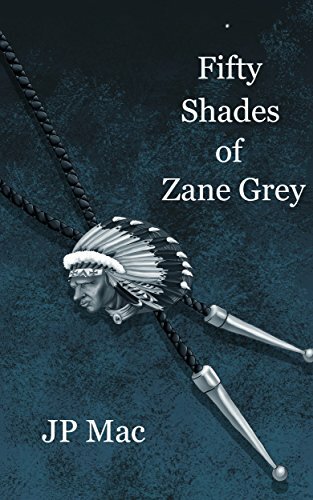 Or will a cowboy love triangle involving a flirtatious, but deadly, bandit, and Grey’s sinister manservant prove even more hazardous than the passionate Mr. Grey? More laughs than lewd, this humor-packed E.L. James parody races you around romantic switchbacks as Anna struggles to learn that passion comes in many shades but true love is a primary color.